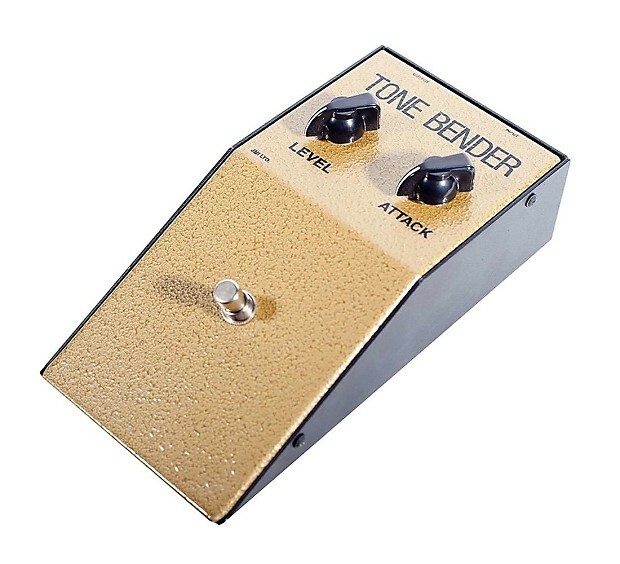 The JMI Tone Bender MKI Reissue is an exact replica of the original 1965 Tone Bender. It uses true Germanium circuits, and achieves the same warm, vintage fuzz achieved by Jeff Beck and Mick Ronson. The unit features level and attack knobs.